Origin Originally from Andes. It is also available in various Central and South American countries such as Brazil, Peru, Venezuela, Dominican Republic, Ecuador and Puerto Rico. Arracacia xanthorrhiza (commonly called Peruvian Parsnip, Peruvian Carrot and White Carrot) is a caulescent and herbaceous plant native to Andes of the Apiaceae /Umbelliferae family. It is cultivated as a perennial plant. 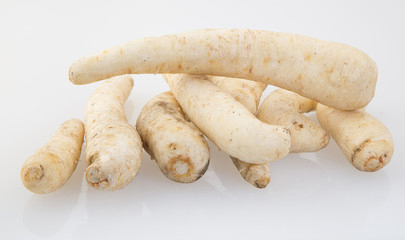 It is sweet and nutty tasting root vegetable with smooth white skin. The young leaves and stems are sometimes consumed as greens or added to salads. This plant performs great in well-drained soils. The plant is a stout, caulescent and herbaceous herb, bearing ovate, dark green to purple, tripinnate leaves each measuring 1-3 cm long and broad. It bears oval shaped purplish to maroon flowers. The edible tuberous root is 2 and 10 inches (5-25 cm) long and 1-2 inches (2-6 cm) in diameter. Its flesh ranges from white, yellow and purple. 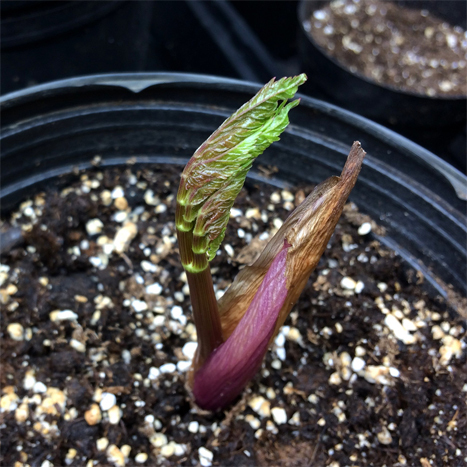 The stems are green, cylindrical and smooth. Fruits are one seeded, oblong measuring up to 10 mm long and 2-3 mm across. Arracacha is originally from Andes. It is also available in various Central and South American countries such as Brazil, Peru, Venezuela, Dominican Republic, Ecuador and Puerto Rico. This plant is also cultivated in Japan, North America and Europe. Recently it got introduced in the some parts of Australia. Arracacha was grown since at least 1903 in Puerto Rico. In the late 1800s, Arracacha was introduced to Brazil. Arracacha was introduced in 1910 to Puerto Rico. 100 grams of Arracacha provides 0.505 grams of protein, 0.28 grams of total fat, 1.3 grams of ash, 26.7 grams of carbohydrate and 0.85 grams of dietary fiber. It grants 9 mg of Iron, 4.3 mg of Vitamin B3, 23 mg of Vitamin C, 63.05 mg of Magnesium, 0.1 mg of Thiamin and 50 mg of Phosphorus. 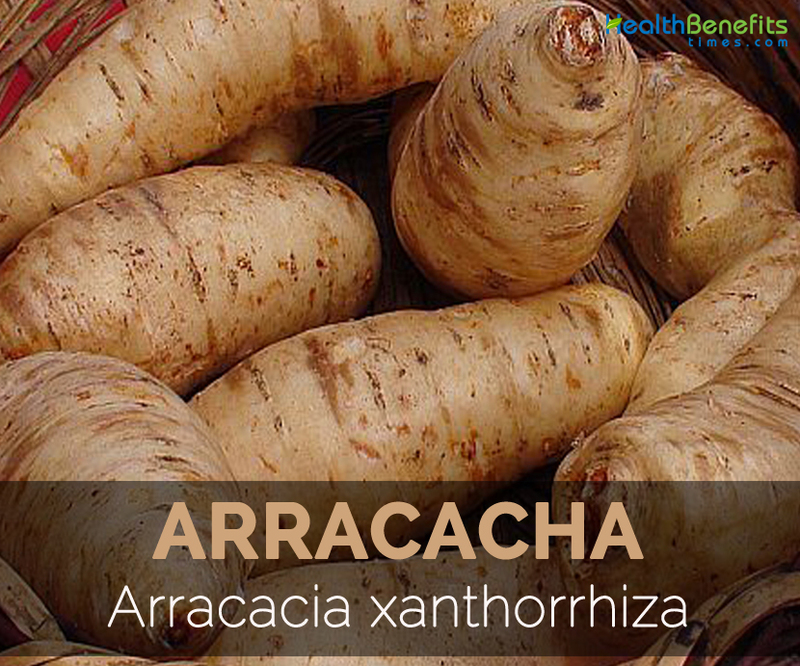 Arracacha is acknowledged as one of the nutritious root vegetables found in the world. It is rich in carbohydrate, mineral and vitamin contents which is essential to maintain human health. The starch found in this vegetable is beneficial to the old people and small children. It has low amount of calories. The studies show that it helps to reduce the chances of cancers such as breast cancer, lung cancer and colon cancer. Vitamin B3 maintains the balance between triglycerides and cholesterol levels which has positive effect on the heart health. It is also able to lower atherosclerosis which is the harmful arteries hardening that leads to the heart diseases. Arracacha is well known for the supplements of baby food. In South America, the herbal puree is regarded as an excellent baby food. The herbal puree cooked with the use of Arracacha is provided to the babies as it is digestible due to the presence of small starch grains. For the older people, it could be sweetened or made savory. 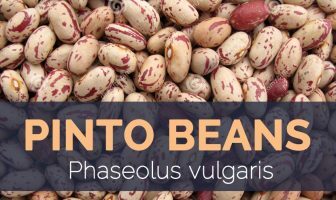 It is an excellent source of calcium, starch, Vitamin A and iron. The study shows that it is found in the weight loss regime. Arracacha possess complex carbohydrates like potatoes. The foods rich in calories keep the stomach full for a long time which helps to avoid binge eating and hunger pangs. It is also available in various Central and South American countries such as Brazil, Peru, Venezuela, Dominican Republic, Ecuador and Puerto Rico. Calories in 100 gm 104 Kcal. The intake of roots in excessive amounts may turn the individual skin to yellowish. One should consult a physician if experienced any adverse effects. The roots are consumed boiled or used as an ingredient in stews, soups, dumplings, side dishes, gnocchi, purees and pastries. The roots are added to stews of meat, vegetables and cheese. In Brazilian cuisine, hot and mashed Arracacha is used with egg yolks and butter to prepare a dish called Souffl é de. In Minas Gerais, Arracacha is used instead of potato to prepare a dish named gnocchi. In Costa Rica, chopped Arracacha is fried with minced onions and meat and used as a filler in tortillas de maize. Arracacha is used as an ingredient in the baby food and instant soups. The leaves and stems are prepared as celery either raw or cooked in salads. The root is used as a thickener for fast food or baby food. It is used as an additive in the food diet. Arracacha can be baked, fried and boiled. In Brazil, dried Arracacha is added to the dehydrated soups. The starchy tubers or roots are consumed like other root vegetables. It is used to add a flavor and color to various dishes. Roots are used to make biscuits, fried chips and coarse flour. It is used to make purees and soups which is good for babies and children. The name Arracacha is derived from a native South American language, Quechua. 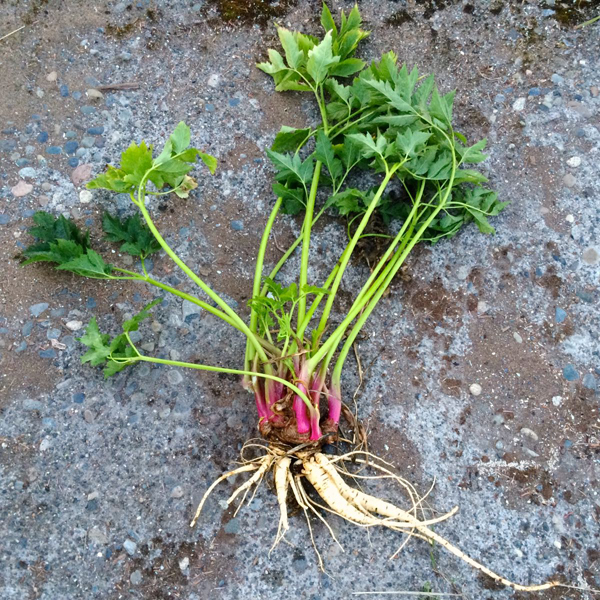 The roots are also called White Carrots. It has four times more calcium than potatoes. The plants of Arracacha plants are mostly grown in domestic gardens. It is planted with food crops such as coffee, potatoes, maize and beans. In the Southern Hemisphere, the harvest season is January to September. Calories 104 Kcal. Calories from Fat 2.52 Kcal.